How do I log in to watch Ovation NOW on my device? Step 1: Download the Ovation NOW App or channel from your device's App Store. Step 2: When you attempt to watch live TV or select an On-Demand Episode to watch, you will be asked to log in with your TV provider credentials. Select the option to log in; and an activation code will be displayed on the screen. Step 3: Type the activation code displayed on the screen on ovationtv.com/activate using a computer or mobile device. Step 4: Enter the activation code and select your TV provider from the dropdown list. Step 5: You will be redirected to a login screen for your TV provider (please ensure pop-ups are enabled on your browser). Log in with your TV provider username and password. Step 6: Once the login is complete, your Ovation NOW app will be activated. 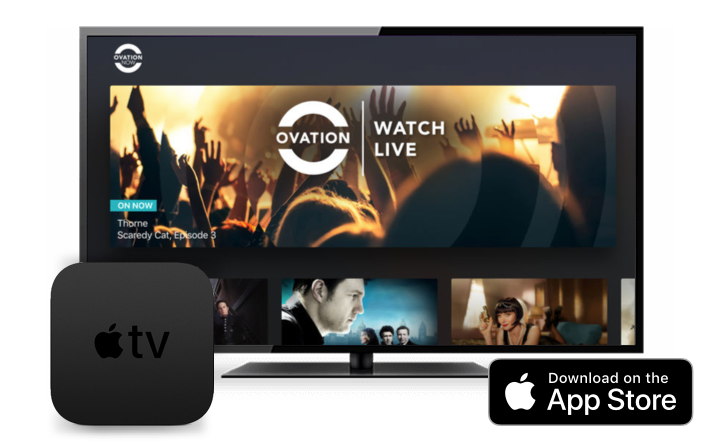 You can now start watching Ovation NOW live streaming and On-Demand Episodes. Step 2: When you attempt to watch live TV or select an On-demand episode to watch, you will be asked to log in with your TV provider credentials. Select the option to log in and a list of TV providers will be displayed. Step 4: You will be redirected to a login screen for your TV provider. Log in with your TV provider username and password. Step 5: Once the login is complete, your Ovation NOW app will be activated. You can now start watching Ovation NOW live streaming and On-Demand Episodes. Why am I being asked to authenticate with my TV provider to access Live streaming and On-demand content on Ovation NOW? Live TV streaming and On-Demand Episodes are offered as a benefit to TV subscribers whose provider package includes Ovation TV. We require a TV login to confirm your access, so you must login with your TV subscription username and password. If you are unsure whether you have a username/password for your TV company or you've forgotten them, you can recover both by contacting your TV provider. Which TV providers are available to log on to Ovation NOW? If you do not see your provider listed here, please check back regularly as new providers are continuously being added. What if my TV provider isn't listed? If your TV provider is not listed, please check back periodically to see if they’ve been added. We are currently working on bringing new providers on board. If no TV providers are displaying, this is most likely due to a security restriction in the network you are using, which may be preventing the list from loading. If you switch to a cellular network signal, or an alternative WiFi or ethernet network with less restrictive settings, the list should display properly. Sometimes just closing and restarting the Ovation NOW app will enable the list to display properly. Do I need to create a new TV provider account to watch on the Ovation NOW app? No, you can use your existing TV provider username and password to watch on the device app. What if my activation code for Roku or AppleTV isn't working? If the activation code isn't working or has expired, please click on "Get a new code" on the device to get a new activation code. Your TV provider may ask you to re-verify your account periodically. I logged in with my TV provider username/password but when I attempt to play an episode, I get an error message that says I am not authorized to view this content. What does this mean? If you have seen this message, it may mean that you are a customer of a supported TV provider but not a customer who subscribes to Ovation TV. Alternatively, it may indicate that parental control settings on your account are blocking this content. For example, if the maximum parental rating set on your account is TV-PG; then any episodes with a rating of TV-14 or TV-MA cannot be played back on Ovation NOW. If you believe you have received this message in error, please contact your TV company and confirm that you are subscribing to Ovation TV and your parental rating is correctly set. 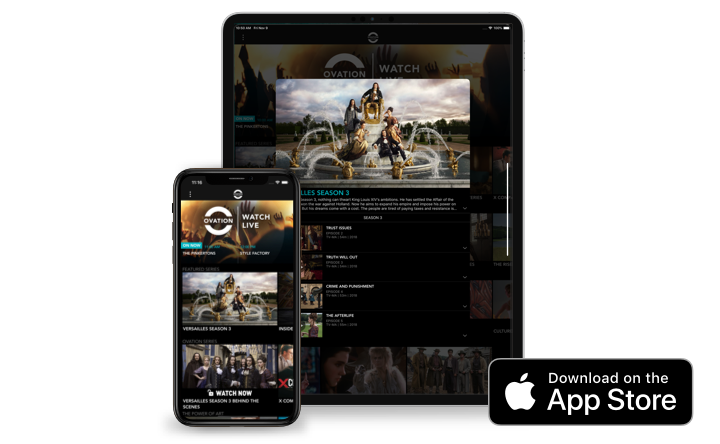 Do I need to be connected to the Internet or WiFi to access the live stream and On-Demand Episodes on the Ovation NOW app? 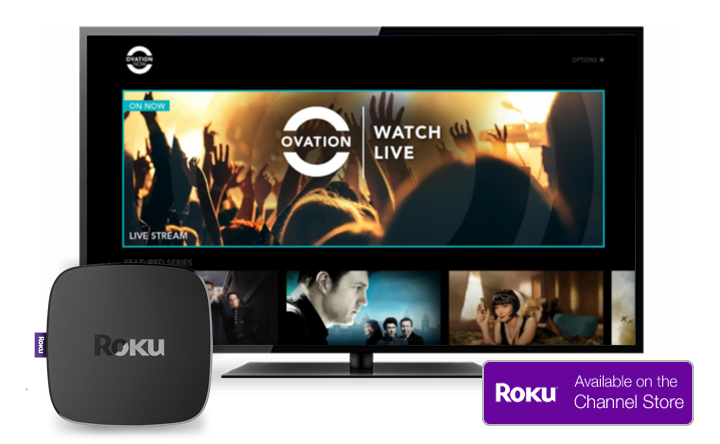 Yes, you will need a WiFi or Ethernet connection to use Ovation NOW on Roku or AppleTV. On iPhone, iPad or Android, you will need WiFi or a 4G-speed cellular data connection. 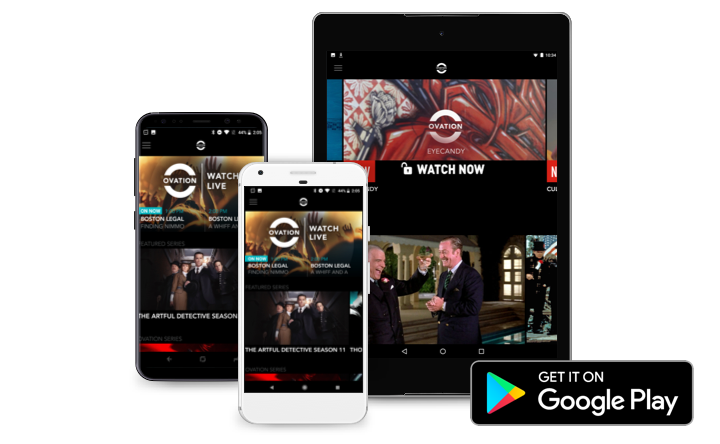 Which Ovation TV show episodes are available on Ovation NOW? Typically, you can watch the most recent episodes of in-season featured Ovation shows currently on-air. New episodes become available on Ovation NOW after they premiere on Ovation TV and are available for a limited duration. If a show is not in season, you will not usually find episodes on Ovation NOW, except during special catch-up opportunities. Why is the episode I want to watch no longer available? We try to have episodes available as long as possible. The latest full episodes for Featured Series are always available in season. We also sometimes provide catch-up episodes of previous seasons. Is closed captioning available on Ovation NOW? All Ovation Now ‘Featured Series’ and live streamed TV always has closed-captioning available. Most ‘Ovation Series’ and Movies have closed captions available. In some cases, archival content or movie content produced prior to 1996 may not have closed captions. You can enable or disable captions on the Roku or AppleTV platforms by going to the Options settings to turn captions on or off for all content. For iPhone, iPad and Android; you can turn captions on and off by toggling the ‘CC’ icon in the top-right corner of the video player screen. Am I able to resume a full episode that I was watching before I exited the app? Yes. If you pause any episode during playback and then exit the App, it will remain paused at that point until you are ready to complete viewing. When you get back to that episode, you will be asked if you wish to resume viewing from that point, or restart the episode from the beginning. Can I purchase or download a full episode if it's not available on the device app? Content is not available for purchase or download through Ovation NOW. Please visit www.staging.ovationtv.com for more information about how to view Ovation TV. Can I simultaneously sign into multiple devices with my TV provider username and password? Yes, you can simultaneously sign into multiple devices of the same platform, but your TV provider may restrict the number of allowed devices for concurrent streaming. Is the Ovation Now available for download internationally? No, Ovation NOW is available for download in the United States only. I'm experiencing technical difficulties with Ovation NOW or the video player. What should I do? Please exit and restart the Ovation NOW app and sign in again with your TV provider if necessary. If using a cellular device, please confirm you are in an area with adequate cellular coverage. If using Roku or AppleTV, please confirm that you are still connected to your WiFi or Ethernet network. If you are still experiencing issues, please contact ovationnow@ovationtv.com with your App platform (e.g. Roku/ AppleTV / iPhone / Android), device model, software version, Ovation NOW app version and TV provider information. I have a question about Ovation NOW that is not listed here. What should I do? Please email ovationnow@ovationtv.com or call 323.275.9764 if you have a question about the App that is not answered on this page.